Does NDP support Trudeau’s caving in to Trump, spending more on military? It’s no wonder the Trudeau government has moved to ramp up military outlays. Even “left” commentators/politicians are calling for increased spending on Canada’s ecologically and socially destructive war machine. Recently Defence Minister Harjit Sajjan announced a more than 70 per cent increase in military spending over the next decade. Canada’s new defence policy includes a significant increase in lethal fighter jets and secretive special forces, as well as enhancing offensive cyber-attack capabilities and purchasing armed drones. Despite his affiliation with a peace organization, Byers supports increased military spending. The Rideau Institute board member has repeatedly expressed support for Canada’s war machine. Byers has long called for increased military spending. 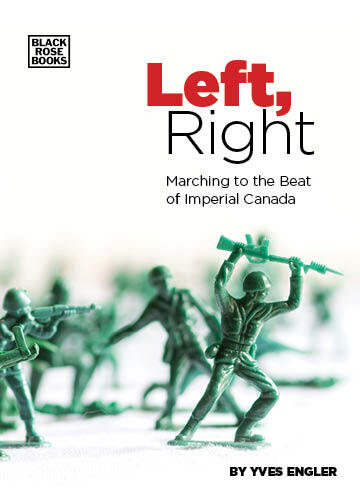 In a chapter in Living with Uncle: Canada-U.S. relations in an age of Empire, edited by then CCPA leaders Bruce Campbell and Ed Finn, Byers notes that “the defence budget, roughly 1.2 per cent of GDP, is a bit low by comparable standards.” He describes writing a 2004 paper for NDP Defence Critic Bill Blakey that called for a $2- to 3-billion-per-year increase in military spending. “A defence budget increase,” it noted, “essentially repairs some of the damage that was done by a decade and a half of neglect.” But the military budget was about $15 billion and represented 10 per cent of federal government outlays at the time. In addition to backing budget allocations, the NDP has criticized base closures and aggressively promoted the National Shipbuilding Procurement Strategy, a $60-billion effort to expand the combat fleet over three decades (over its lifespan the cost is expected to top $100 billion). I’ve yet to come across a formal party statement about yesterday’s announcement. What do those currently vying for NDP leadership think of the Trudeau’s new defence policy and how will they respond? Comments Off on Does NDP support Trudeau’s caving in to Trump, spending more on military?